Palestinian Authority textbooks issued for the new academic year are “significantly more radical” than their predecessors, routinely erasing Israel and glorifying “martyrdom,” a Jerusalem-based watchdog group has warned. 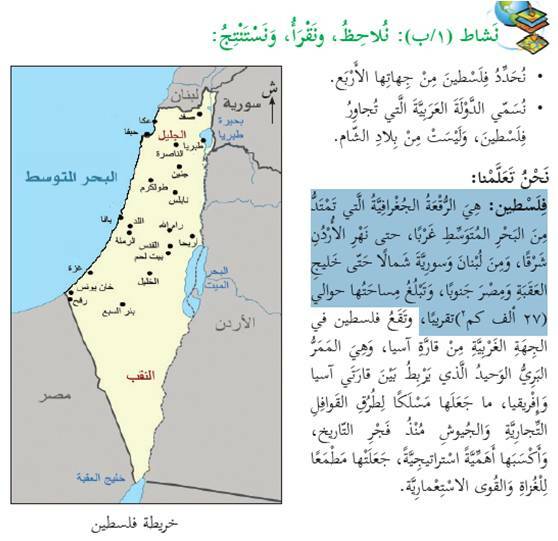 Inflammatory language is found in textbooks across the curriculum, regardless of age or subject matter, with Israel frequently described as the “Zionist Occupation” and Israeli land often labeled Palestinian. 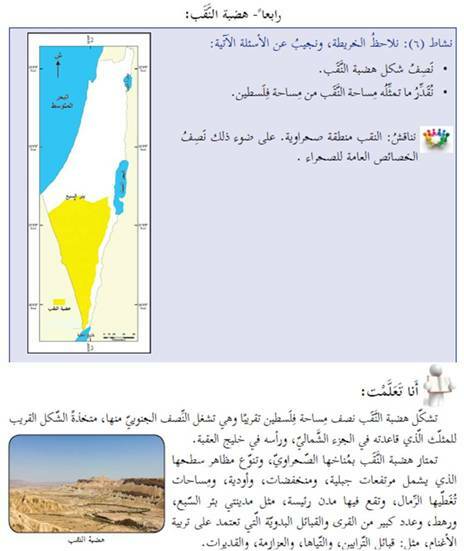 Aside from erasing Israel, the new Palestinian curriculum also consistently glorifies terrorism, according to IMPACT-se’s report. 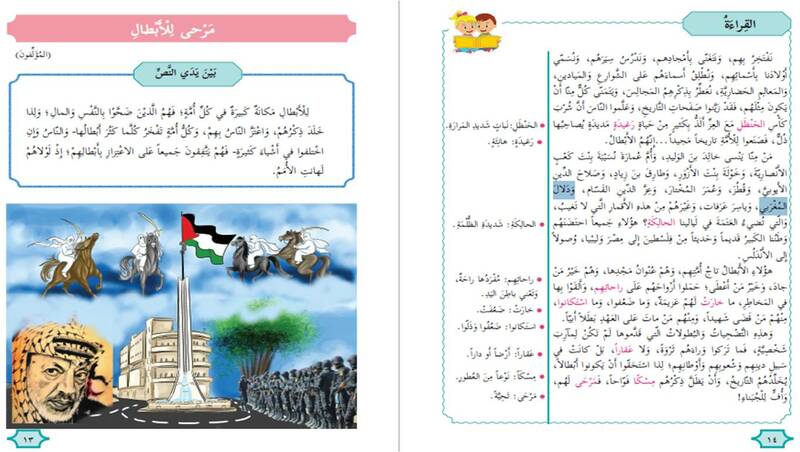 In an Arabic language textbook for fifth grade, “martyrdom” and “jihad” are lauded as “the most important meanings of life.” Pages earlier, the same book lionizes Palestinian “martyrs” — a common euphemism for terrorists. One “hero” the book specifically encourages students to be “proud of” is Dalal Mughrabi — a Palestinian terrorist who led a massacre of 38 people, including 13 children, near Tel Aviv in 1978. She is mentioned alongside figures including Tariq ibn Ziyad, an 8th century Berber general who spearheaded the Muslim conquest of Spain, and the late Palestinian leader Yasser Arafat. “These heroes are the crown of their nation,” the book claims. Meanwhile, a science textbook for seventh grade teaches Newton’s Second Law through a cartoon depicting a Palestinian youth with a slingshot facing off against armed Israeli soldiers. “What are the forces that influence the stone after its release from the slingshot?” the text asks. These findings were presented by IMPACT-se in a series of meetings it held with representatives from the European Union, as well as four major European donors to the Palestinian Authority — Belgium, the UK, Finland, and Germany. The group told The Algemeiner that “funding of the curriculum comes via the Joint Financial Agreement” — a pooled funding system that provides around half of the PA Ministry of Education’s budget. The system is co-chaired by Belgium, which put on hold last month “any projects related to the construction or equipment of Palestinian schools,” following news that a West Bank school built with Belgian aid was renamed after Mughrabi.